Type 2 diabetes has become increasingly prevalent worldwide, thus making it an important health issue. One of the factors related to the development of type 2 diabetes is the presence of oxidative stress. Oxidative stress is caused by an increase of molecules in the body known as reactive oxygen species, which can damage normal healthy cells and their functioning. In diabetes, oxidative stress can disrupt insulin signaling and cause insulin resistance, increased blood glucose levels, and other diabetes-related complications. Ubiquinone is a nutrient that is converted in the body to ubiquinol, which then acts as an antioxidant to counteract the effects of reactive oxygen species to reduce oxidative stress. With the recent development of a new liquid ubiquinol dietary supplement, researchers examined whether there are benefits to ubiquinol supplementation in type 2 diabetics. In the British Journal of Nutrition, researchers in Taiwan published their results of a double-blind, randomized, placebo-controlled trial. The clinical study included adult patients with type 2 diabetes. The researchers randomly assigned the participants to either the placebo group or the liquid ubiquinol group at a dose of 33mg three times daily before breakfast, lunch and dinner. Both the placebo and the liquid ubiquinol had the same colour and taste, thus reducing bias, and the supplement bottle was weighed every four weeks to monitor compliance. The researchers collected characteristics of participants from questionnaires and medical records, while blood samples were collected throughout the treatment period to measure blood glucose parameters, insulin levels, lipid levels, and antioxidant activity levels. 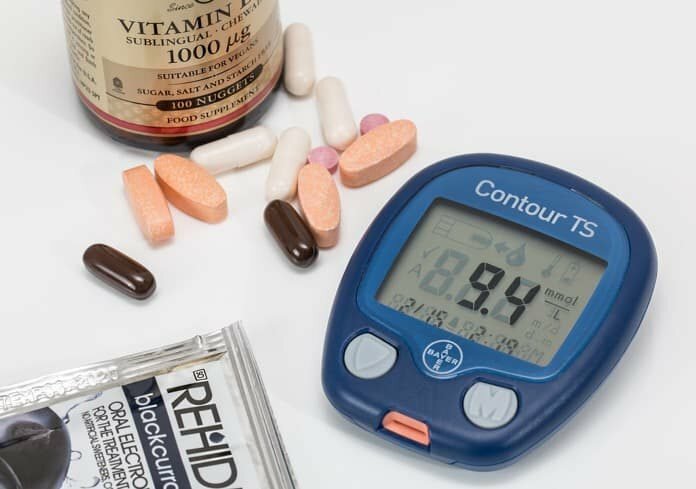 After the intervention period of 12 weeks, the researchers assessed the effects of liquid ubiquinol supplements on glucose, lipid, and antioxidant levels in type 2 diabetics. The results found a significant decrease in hemoglobin A1c measurements, indicating a decrease in blood sugar levels They also found a slightly lower level of fasting glucose levels. After the 12 weeks of intervention, the ubiquinol group also had a significantly decreased proportion of participants who were using thiazolidinediones, which are a class of diabetes medication. The study did not find a change in lipid levels of total cholesterol or LDL-cholesterol in the ubiquinol group, however, it did find a significantly lower level of HDL-cholesterol in the placebo group. Lastly, although markers of oxidative stress were not lower in the ubiquinol group, the activity levels of antioxidants, such as coenzyme Q10, were significantly higher. Previous studies have also demonstrated similar results of a decrease in glucose levels and HbA1c with ubiquinol supplementation, however, the researchers advocate for additional studies with more participants and a longer study period to confirm their results. More studies will also help define an optimal dose of ubiquinol supplementation. Based on the overall findings, liquid ubiquinol supplementation could potentially help with glucose control in diabetes and may be used in addition to diabetes medications. Further, the study suggests that ubiquinol benefits could include maintaining HDL-cholesterol levels and improving antioxidant activity in type 2 diabetes patients, thereby improving insulin control.